Greetings from The 88 Project! We are bringing you news, analysis, and actions regarding human rights and civil society in Vietnam during the week of March 26-April 1. Six pro-democracy activists, including five key leaders in the Brotherhood for Democracy, go to trial this week on April 5. All six face charges under Article 79 of the 1999 Criminal Code for alleged subversive activities. In addition, pro-democracy activists Nguyen Viet Dung, Nguyen Van Tuc, and Vu Van Hung will all face trial in different parts of Vietnam in the second week of April. Sixteen activists have already been sentenced to prison terms in Vietnam in 2018 alone; the addition of the trials of these nine individuals will bring the total to 25 activists. Environmental activist Hoang Duc Binh, who is serving a 14-year sentence, has not been permitted to see his family in nearly 11 months. Singer and activist Mai Khoi was detained at the airport upon arriving home from a European music tour. International advocates urge the US to look into government-supported Red Flag groups that target activists and members of religious communities in Vietnam. In the news, read about Hmong Christians in Vietnam and the multitude of obstacles they face in practicing their lifestyle and religion. In case you missed, read up on the last set of female political prisoners we are highlighting as part of Women’s History Month. 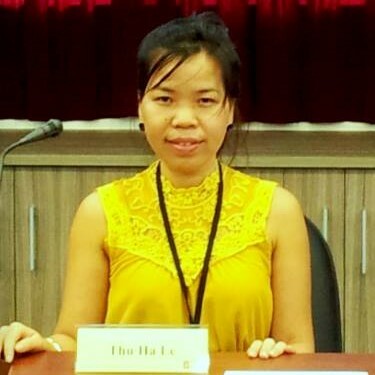 One of the women featured, Le Thu Ha, will be tried in the mass hearing this week. Please share your support for the nine activists awaiting trial in early April and take action for Hoang Duc Binh, urging authorities to release him from prison and cease harassing him. Six pro-democracy activists, including five key leaders in the Brotherhood for Democracy, go to trial on April 5, facing charges under Article 79 of the 1999 Criminal Code for alleged subversive activities. Nguyen Van Dai, Le Thu Ha, Pham Van Troi, Nguyen Trung Ton, and Truong Minh Duc are all key members of the Brotherhood for Democracy, and Nguyen Bac Truyen ran the Vietnamese Political & Religious Prisoners Friendship Association. The U.N. Special Rapporteurs have also sent letters to the government specifically focusing on the case of Nguyen Bac Truyen, a Hoa Hao Buddhist, lawyer, and blogger who has been repeatedly harassed and intimidated for his expressions of religion and other universal rights. Read those letters in his profile, here. Nguyen Van Tuc will face trial on April 10. A Brotherhood for Democracy member and former political prisoner, he has been detained for seven months without trial. He will be tried under Article 79 in Thai Binh province and has not been allowed to meet with his lawyer yet. He has been active in human rights, pro-democracy, and maritime sovereignty activism. Former political prisoner and teacher Vu Van Hung, who was arrested in January 2018, has a trial date set as well. He will be tried in Hanoi on April 12 under Article 134 of the 2015 Criminal Code (“intentionally inflicting injury on or causing harm to the health of other persons”). The trial may have to be postponed, as Hung’s lawyer, Ngo Anh Tuan, is also the lawyer for Nguyen Viet Dung, who goes to trial on the same day. Vu Van Hung has been active in environmental and social activism; he faces up to 12 years in prison. Hoang Duc Binh has been unable to meet with his family since being imprisoned nearly a year ago. They fear he is in poor health. Binh has appealed his 14-year sentence and awaits news on an appeal trial. He is the vice president of the independent Viet Labour Movement and a member of “No-U Saigon,” a soccer group that protests China’s sweeping claims on the South China Sea. He is also a well-known blogger who covered news on the environmental disaster caused by Formosa. Dissident singer Mai Khoi was detained by authorities for eight hours after arriving home from a European tour. She was in Europe publicizing her new album, “Dissent.” Despite facing surveillance and harassment in recent months, and being evicted from her home on multiple occasions, she is not deterred. “No, to stay in Vietnam is not safe for me who wants to express freely, but I still have to stay here because I think it’s going to change,” she said in a recent interview. International advocacy groups are hoping that concerns regarding Red Flag groups will be part of the discussion when the US and Vietnam hold their bilateral human rights talks in May. These groups, which many believe are state-backed, harass and physically assault members of unsanctioned movements in Vietnam, such as the Catholic church, or those with dissenting views. In December, Catholic locals were beaten by Red Flag thugs when they attempted to dig a ditch on contested land to direct flooding; police did not intervene. These types of attacks on religious, political, and social activists have grown increasingly frequent. March 8 was International Women’s Day. There are currently 15 female political prisoners jailed in Vietnam. Five of them are serving 6+ years in prison. Learn more about the women by searching by “Gender” and “Current Status” in our Vietnamese Political Prisoner Database. The past three weeks, we have shared the profiles of eleven prisoners; this week, we highlight the last four women as Women’s History Month ends. Amnesty International has released an Urgent Action for Hoang Duc Binh, a labor and environmental activist who was sentenced to fourteen years in prison on February 6, 2018. Please take the Urgent Action, calling for Binh’s release from prison and protection from mistreatment thereafter.